South African website Independent Media has listed Cat Ba Island in their list of top five active travelers' destinations. For most people, holiday travels involve relaxing by the beach or hotel pool, but there are also many who see it as an opportunity to get fit or keep fit, get their heart racing and adrenaline pumping. Cat Ba Island is one the world’s five best ‘keep fit’ holiday destinations, according to Independent Media, a South African multi-content website. Kayaking in Cat Ba Istand is a favorite activity. Photo by Shutterstock/Sean Kruger. Cat Ba is an archipelago that includes 367 islands spanning 260 square kilometers, of which Cat Ba Island is the largest. The island belongs to northern city of Hai Phong. It has a wide variety of natural ecosystems, both marine and terrestrial, and is highly biodiverse. 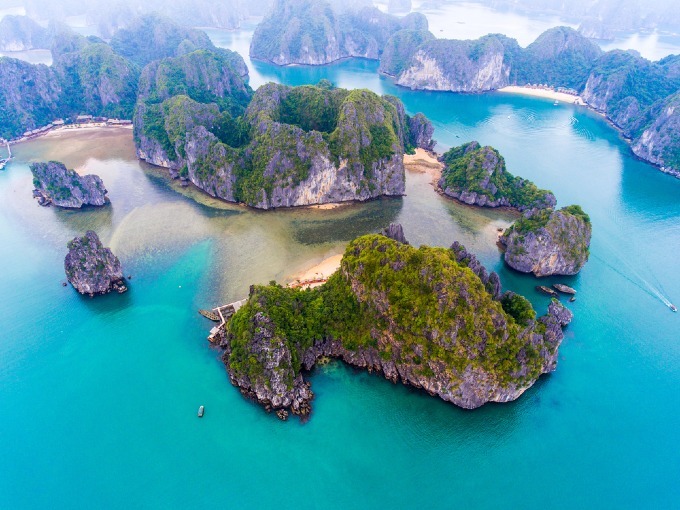 The different natural habitats found on Cat Ba Archipelago include limestone karsts, tropical limestone forests, coral reefs, mangrove and sea grass beds, lagoons, beaches, caves and willow swamp forests. Aerial view of Cat Ba Island. Photo by Shuttertock/Jimmy Tran. "For those that are tempted to be in the water but have no desire to swim or surf – then perhaps grabbing a canoe and kayaking down a river would be a great idea to keep fit," Independent Media wrote. 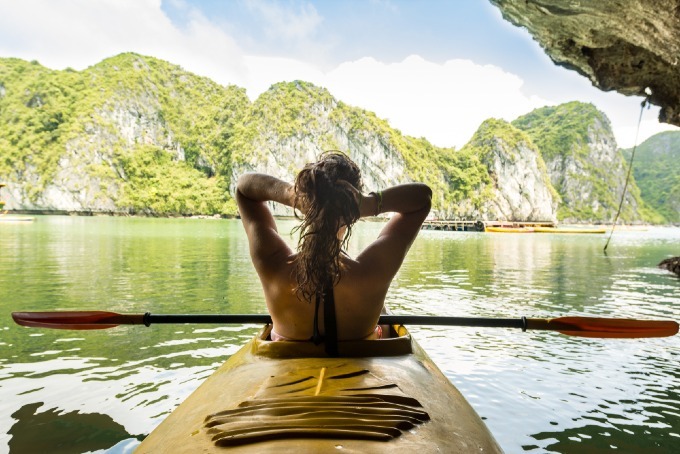 Other places in the list are Yosemite traverse hiking trail (the U.S.) leads, Supertubes (South Africa), cycling in La Farola (Cuba), yoga in Rishikesh and the Ganges River Valley (India) and kayaking in Cat Ba (Vietnam). In 2017, Cat Ba Island received 2 million visitors, 450,000 of whom were foreigners, according to the Hai Phong Department of Tourism.